Here is a church shaped wordsearch puzzle grid that is sure to engage students' creativity and engagement in the classroom. Support vocabulary building in a fun and exciting way, as kids love to make word search printable puzzles so they can exchange them and solve their friends' puzzles. 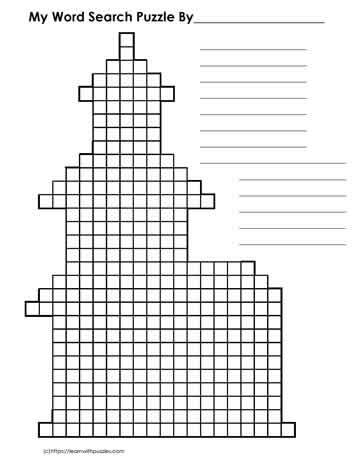 Blank puzzle forms suitable for pre-assessment, assessment as learning, and as part of literacy centers to support theme based curricula.